The primary building block to a Series 5000 system is the rack frame. 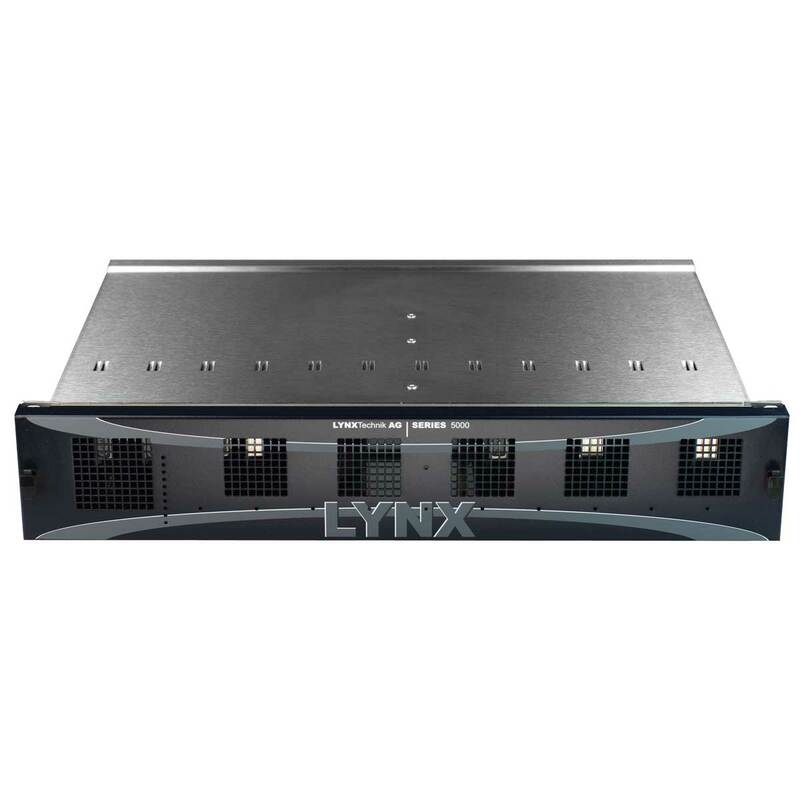 The RFR 5013 is a 2RU rack mount chassis which can accommodate up to 12 Series 5000 “passive” optical modules (these modules require no power). The modules are mounted from the rear of the rack frame. 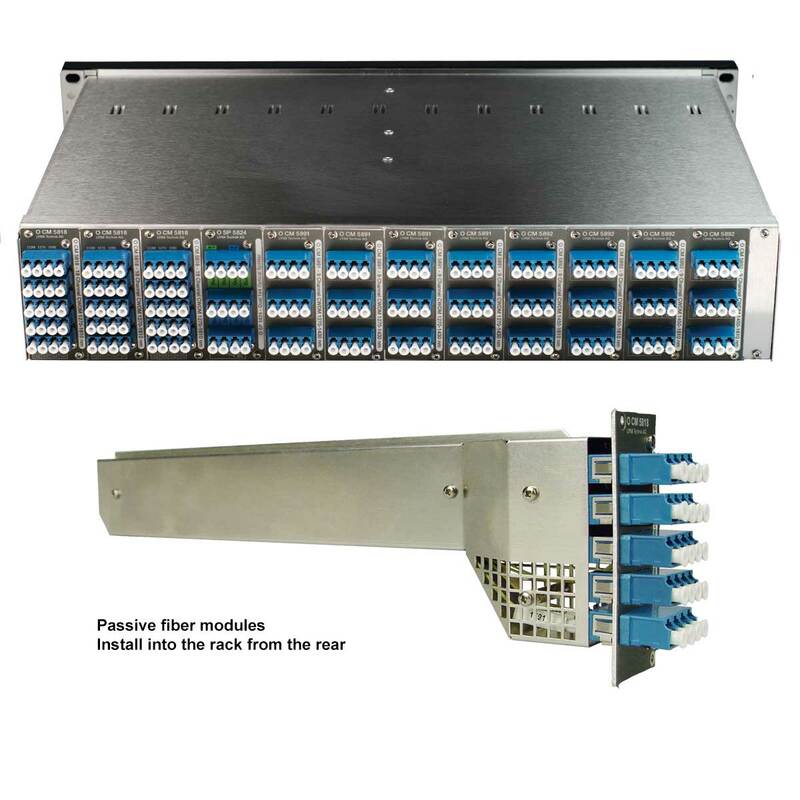 This a convenient low cost way to accommodate multiple passive modules in a rack frame identical in size form and fit to the standard electrical 2RU RFR 5012 rack frame. The construction is extremely robust, suitable for studio installations and the most demanding mobile applications.